A huge thank you to everyone who came to the election launch last night - it was good to see so many people there and great to have new people too. A special thanks to Matt, Susie, Siobhan and Catherine for your support, generosity and help in getting us this far! We have a strong platform and we will be standing up for young people, the NHS, affordable housing, the environment, rights and democracy. 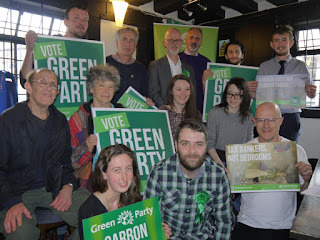 I set out why I am is calling for a second Brexit referendum on the terms of the deal and I stated why people can vote Green positively and with confidence in Maidstone and the Weald. It was great evening - thank you everyone!